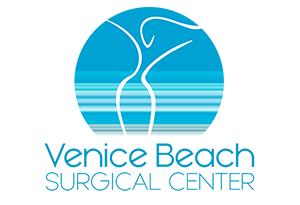 Dr. Augusto Rojas is the Medical and Surgical Director at Venice Beach Surgical Center in Venice California. An Anti-Aging and Cosmetic Surgeon from Bogotá Colombia, Dr. Rojas has practiced Cosmetic Surgery & Anti-Aging Medicine in Southern California for over 20 years. Dr. Rojas’s success is rooted in an approach to Cosmetic Surgery akin that of the master who sculpts and shapes a stone to perfection in order to obtain the most balanced, beautiful, and long lasting results. A Graduate of Universidad Javeriana, one of the best Medical Schools in Latin America, Augusto Rojas is versed in the most cutting edge surgical techniques available today which includes: Vaser Liposuction, Blepharoplasty, “Mommy Makeover”, Lifting Threats, and many others. An active member of the Los Angeles Cosmetic Surgery Community Dr. Rojas is an avid researcher who constantly seeks newer, safer and more effective techniques to satisfy his clients. With the most high end products and techniques, from the simplest to the most sophisticated procedures, Dr. Rojas and his staff strives to provide you with the best service and most pleasant and safe experience while you get the results you want.